Using a radar to pre-locate faults will save time and reduce cable damage. 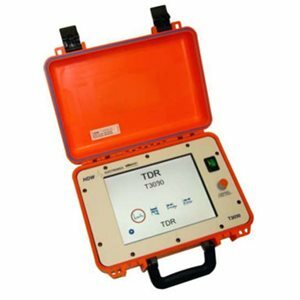 The T3090 is designed to be the most user-friendly radar on the market! Advanced features include One Button Operation, Automatic Gain and a Large Color Screen. The T3090 will automatically ‘read’ the cable and display the fault distance with a single thump. The interactive ‘Step-By-Step Easy Mode’ will help train (or re-train) the occasional user while he is on the job! The optional ‘Sectionalize Mode’ will quickly sectionalize faults in loops or radial systems.